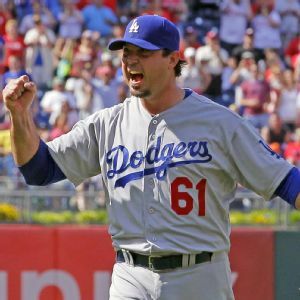 Los Angeles Dodgers right-hander Josh Beckett is retiring, he told MLB.com. 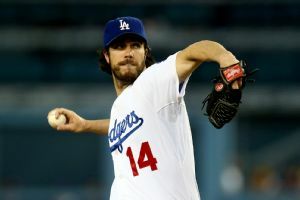 LOS ANGELES -- For a good part of four months, Dan Haren was the anti-Dodger starting pitcher, the source of fan frustration and the man likely to be left off a playoff rotation in the safe assumption this team gets to October. Center fielder Yasiel Puig has been scratched from the Los Angeles Dodgers' lineup because of a stomach ailment. 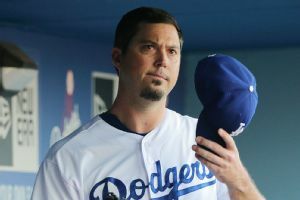 Josh Beckett, who was a World Series MVP at the age of 23 and threw a no-hitter at the age of 34, said Friday he is mulling retirement. 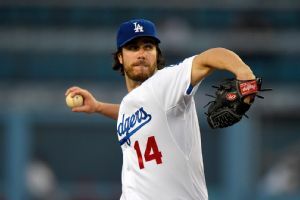 LOS ANGELES -- At around 4 p.m. Friday afternoon, just about the time the rest of the team wandered out to the field to stretch, Dan Haren was resting on a couch, alone in the Los Angeles Dodgers' clubhouse aside from Josh Beckett and the dozen or so reporters surrounding him. LOS ANGELES -- The Los Angeles Dodgers kept their lead in the NL West intact and might have figured out a new bridge to closer Kenley Jansen along the way. 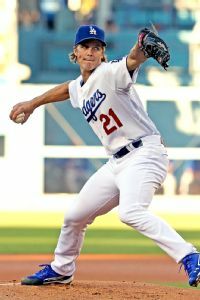 SAN DIEGO  Clayton Kershaw had a good response when somebody asked him about dominating the team that has been one of his more difficult matchups in recent years, the Arizona Diamondbacks, on Wednesday. 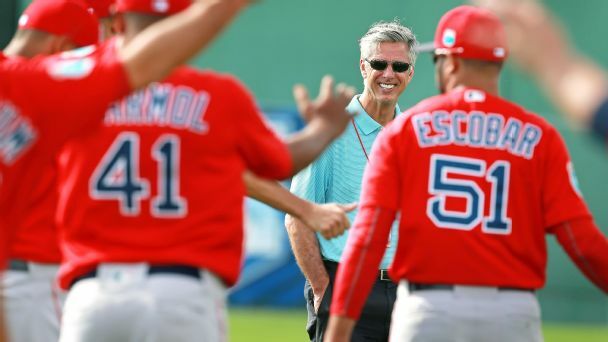 LOS ANGELES -- If there is one constant in the way Los Angeles Dodgers general manager Ned Colletti explains the building of a championship roster, its that you can never have too much pitching. 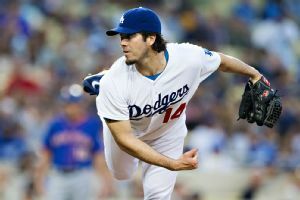 LOS ANGELES -- Adrian Gonzalez smacked a three-run homer in the fifth inning of Saturday's 7-4 win for the Los Angeles Dodgers over the visiting New York Mets, and tied a season high with five RBIs.